According to a report by the Alliance of Automobile Manufacturers, a 25 percent tariff on auto imports by the Trump administration would increase the cost of every vehicle sold in the U.S. That means a Subaru Forester, Crosstrek and WRX/STI could cost $5,800 more than it costs now. This week, the Alliance of Automobile Manufacturers said a 25 percent U.S. tariff on imported passenger vehicles, if imposed on national security grounds, would cost American consumers $45 Billion annually (based on 2017 auto sales), or $5,800 per vehicle. Subaru produces the Forester, Crosstrek, WRX/STI and BRZ sports coupe at their Japan factory, while the Outback wagon, Legacy sedan, Impreza compact and the all-new Ascent 3-Row family hauler are built at their U.S. plant in Lafayette, Indiana. Toyota Motors says its Camry sedan, made in Georgetown, Kentucky, would face $1,800 per vehicle in increased costs. The Alliance of Automobile Manufacturers, says it will file written comments this week with the U.S. Commerce Department. The group says consumers would also face higher costs of imported auto parts when buying vehicles from both U.S. and foreign automakers. The report says the automotive research firm LMC Automotive projects a 25-percent tariff on imported vehicles would reduce U.S. auto sales by 1-2 million units annually, depending on how tariffs are passed on to consumers. This comes as Subaru gets ready to launch their all-new fifth-generation 2019 Forester this fall. Ouch - that could be a nail in the coffin for the new version, it simply isn't compelling enough to pay significantly more. Subaru should get an exemption since the majority of their car lines are built in the U.S. and they contribute to our job growth. "since the majority of their car lines are built in the U.S." Keep in mind.. those models are *assembled* in USA.. with parts imported from Japan. I havent seen a good breakdown of how much of their cars are made in USA. Thats why its so easy for them to have these 0 landfill factories here. Trump is leveling the playing field. This is negotiation to get other countries to stop their high tariffs on our products. Keep calm and drive a Subie. Blame his predecessors for being weak on protecting our workers. right.. it could very well be a temporary thing to make the playing field level through heavy pressure.. only doing what they do to us. 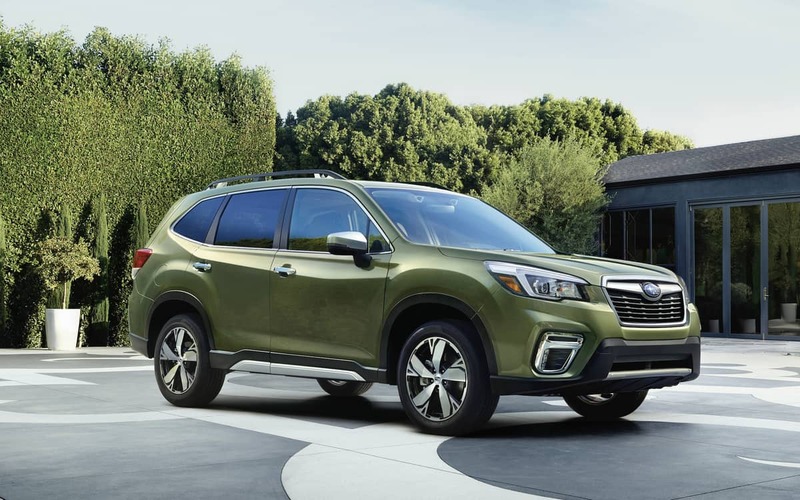 does this mean that 2019 subaru forester owners are going to get the same deal that midwestern farmers are going to receive as a result of tariffs? namely, is the government going to reimburse us for this $5,800 additional expense resulting from the tariffs? Its interesting as the left calls it a bail out when its just money we got by putting new tariffs on their crap being diverted to the people hit with tariffs in retaliation.. just moving money around. Is Subaru going to pay the tariffs on the new 2019 Forester or not. My daughter is waiting on what is going to happen. For $5000 plus more. To much , To Much. Won’t be worth it! !